Browse our sample Argentina tours below. Explore the cultural and architectural dynamics of Buenos Aires, discover the verdant pampas surrounding the city, and experience thundering Iguassu Falls on this tailored survey of Argentina’s iconic charms. The cultures, cuisine and outstanding wines of Argentina feature prominently on this week-long bespoke adventure through Buenos Aires and Mendoza. Experience the wonders of northwestern Argentina on a relaxing tour that connects Buenos Aires, Salta, and Mendoza. Take in a tango show in BA, go horseback riding from a cozy estancia in the Andes, sip delicious wines in the shadow of a volcano in Mendoza, and more. Discover the beauty and wonder of Latin America’s greatest cities and its most magnificent waterfall on a single trip. Explore Buenos Aires and Rio de Janeiro with private guides, see Iguazú Falls from both sides of the border, and recover from it all on pristine Brazilian beaches. 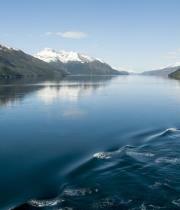 Explore the extraordinary Patagonian landscapes, flavorful wines, and magical cities of Buenos Aires and Santiago. Taste Malbecs in Mendoza, see the gigantic Perito Moreno Glacier, marvel at majestic Torres del Paine, discover the Atacama Desert, and more from a selection of remote luxury lodges. Explore the cultural and culinary wonders of three South American capitals on the engaging tour across the continent’s Southern Cone. Discover the always-changing food scene in Santiago, taste delicious Mendoza wines, feel the rumble of Iguazú Falls, stay up late in Buenos Aires and Rio, and much more. Experience the sights, sounds, and flavors of Buenos Aires and Uruguay on this thrilling South American trip. Sample Malbecs in a 150-year-old cellar and tour museums and galleries in Buenos Aires, relax at a wine lodge in Uruguay’s emerging Carmelo wine region, and more. Revel in the grandeur of Buenos Aires, Montevideo, and the exclusive resort town of Punta del Este on this fascinating South American adventure. Marvel at stunning architecture, relax at an estancia, enjoy an exclusive wine tasting, explore pristine wilderness, and more. Taste your way through the vineyards of Mendoza. 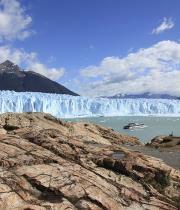 Visit the incredible Perito Moreno Glacier. Take in a tango show in Buenos Aires. Cruise to the End of the World in Ushuaia. Immerse yourself in sophistication and Latin flair on a customized Argentina tour. This South American gem provides its visitors with a rich culture and sights so beautiful, you’ll be dying to come back before you even leave. Set out to embrace energetic Buenos Aires with your private guide and driver to kick off your Argentinian tour. Seek out charming outdoor cafés, or learn sultry dance moves at a private tango lesson. Home to stunning architecture, be sure to visit the Centro Cultural Kirchner, an abandoned post office that has been converted into a cultural center. Taking up an entire city block, it contains various art galleries, events spaces, and a world-class concert hall. On the eastern side of the Plaza de Mayo, you will find Casa Rosada, quite literally translated to “Pink House”. This building plays an important role in Argentina’s history. A must-see for art lovers on any Argentina tour is the Museo Nacional de Bellas Artes. Here you will find masterpieces by famous artists, such as Rembrandt, Antonio Berni, Xul Solar, and many more. Travel to the northern tip of the country to tour the famous Iguazu Falls. You’ll understand what makes this destination so requested on our tours as you trek through lush jungle to view these picturesque waterfalls surrounded by natural wildlife. 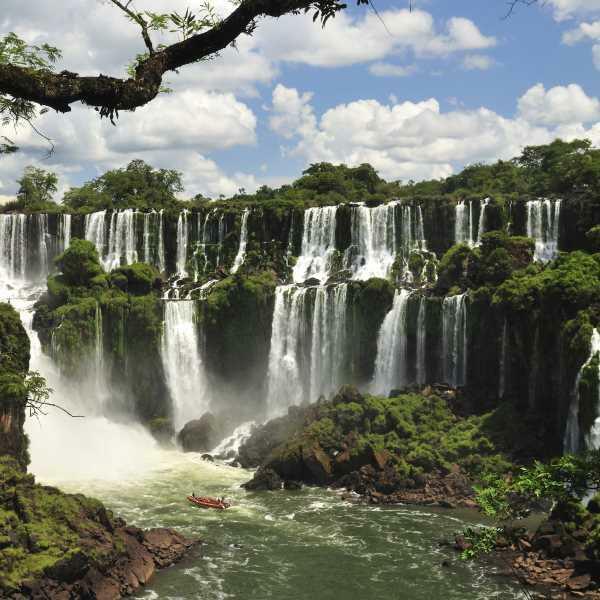 While visiting the Iguazu Falls, explore more of South America by crossing the border to tour Brazil or Uruguay. Our multi-country South America tours are the perfect way to see the best sights of every country. As part of any Argentinian tour, you’ll want to savor Argentinian beef in an authentic steakhouse, or opt for a private cooking lesson to learn how to prepare scrumptious corn and meat empanadas, Argentinian stew and sweet caramel pancakes. 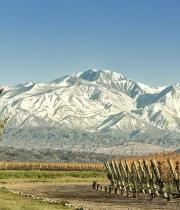 Wine connoisseurs may travel to Mendoza, where vineyards unfurl across lush valleys into the foothills of the Andes. Tour wineries and delight in world-class reds. 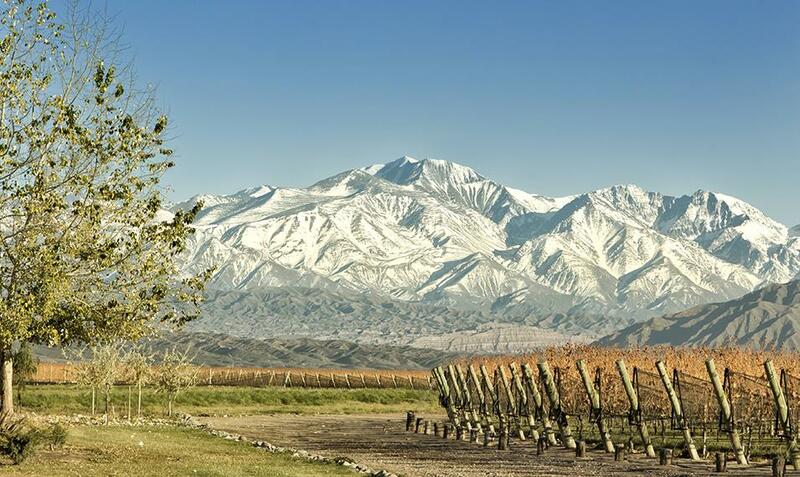 Considered to be the heart of Argentinian wine country, Mendoza is situated at the bottom of Andes and is known as a gateway for skiing in the wintertime. Popular for its laid-back atmosphere and leafy avenues, this Argentine gem captivates the hearts of every traveler. Travel to the Patagonia region on our Argentina tours for panoramic views, glaciers adventures, hiking trails and pure mountain air. Take in the stunning landscapes while staying in luxurious accommodation as you explore El Calafate. Cross to Chilean Patagonia where stunning Torres Del Paine awaits. With such a variety of stunning travel options, and hidden gems, savvy travelers trust our experts to craft an Argentinian tour itinerary tailor-made to perfection. No matter what your fancy, something about travel to Argentina that will tickle it. Sightseers will marvel at the world-class architecture and natural vistas, while those that are more comfortable indoors will enjoy full-bodied wines and abundant shopping. Cool things down by catching a glimpse of adorable penguins, and then heat them up again with a night spent learning how to tango. Finish off your Argentina travel with a visit to Patagonia, a sparsely-populated region at the Southern tip of the country with wild and breathtaking landscapes. Tango originated on the border of Argentina and Uruguay in the late 19th century, but it wasn’t long before the irrepressible dance made its way throughout the rest of the world. The complex footwork, give and take partnership and alluring undulations have captivated generations of admirers, and there may no better place to marvel at them done properly than at a Buenos Aires tango show. The essence of the tango in Buenos Aires is of subtle partnership, not only with the person with whom one is dancing but with the very music as well. Improvisation is not only allowed but encouraged, and it is a unique excitement to see two people completely in sync despite never having performed quite that dance before. That thrill is only topped by being one of the dancers - so why not head down to Buenos Aires, take a class in the century-old art of the tango, and then dance the night away at an Argentine club? Accounting for nearly two-thirds of the country’s production, the Mendoza province may very well be the most vital wine region in all of Argentina. But its importance is far more than simply a matter of quantity - Mendoza wineries have consistently produced some of the best and most interesting vintages you’ll be able to find anywhere. 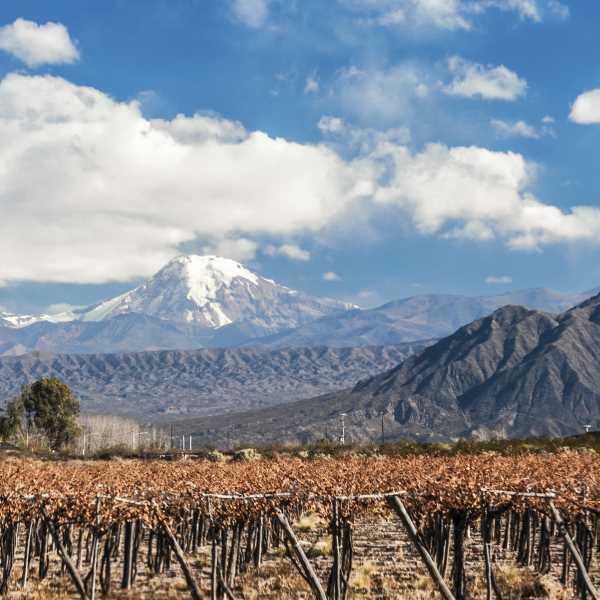 While Argentina wine country includes a variety of areas, such as Cordoba and San Juan, Mendoza has been a clear standout for well over 100 years. Its boom began in the late 19th century and has continued since then, and today it is known for producing a diverse range of wines, from award-winning malbecs to humble vino patero, foot-based wines that are made and enjoyed locally. 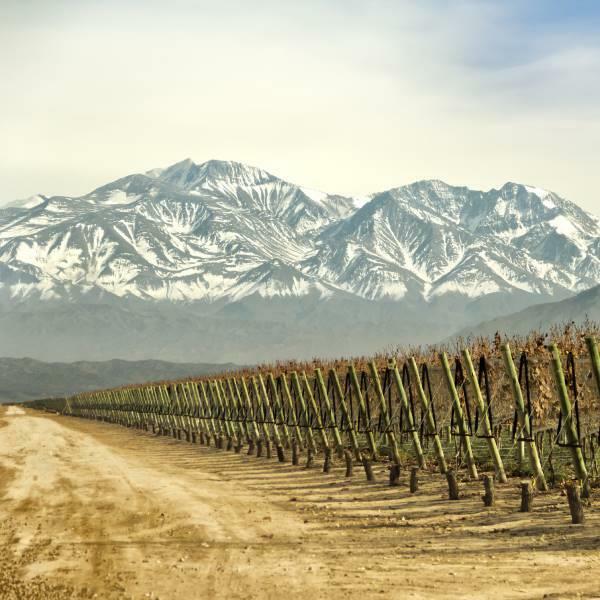 Mendoza wine tours tend to focus on Malbecs, and with good reason - the region’s altitude and temperature are absolutely perfect for this varietal of grapes, and the technique with which they are plucked and turned into wine has been honed over many years. Of course, there are a number of other excellent varietals to sip and enjoy, such as viognier, chardonnay and cabernet sauvignon. There are other waterfalls in the world. There are even other Argentina falls, that are well worth a visit. There are none, however, that will come close to preparing you for the splendor of the Iguazu falls, a site that inspires as much gushing as it produces. The beauty of the Iguazu falls is no secret - more than one million visitors make the trek every year - and yet somehow still comes as surprise upon every viewing. With a total height of more than 250 feet and a width that stretches nearly two miles, it is an astonishing sight to try to take in at once. More than twice as high as Niagara falls, its peak drop is completely unrivaled in the Western Hemisphere. Its impressive geography is more than matched by how picturesque it is. With a variety of cascades, from small to large, and an array of local wildlife that includes toucans, monkeys and jaguars, it is an experience fit to delight all five senses. Tour Iguazu falls, but don’t forget to bring a camera, as it is adventure that any traveler will want to re-live again and again. Ready for a more active Argentina excursion? 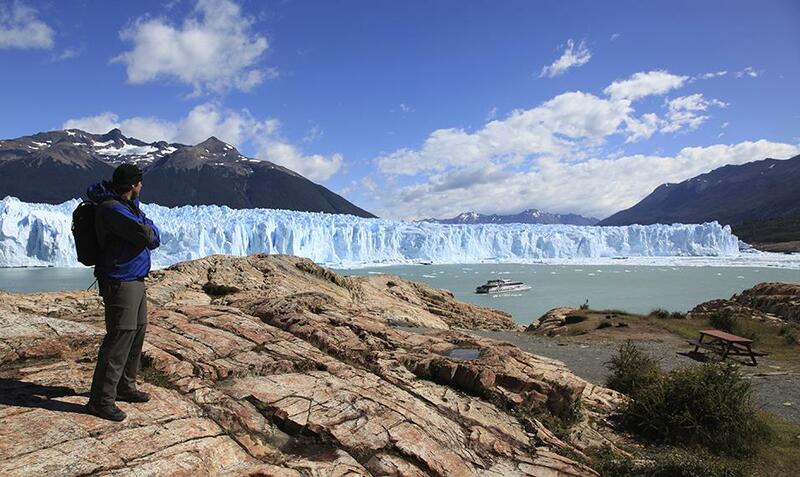 Look no further than the Perito Moreno Glacier. While the vast majority of the world’s ice shelves are retreating, this Patagonia glacier is expanding, and today covers an area of nearly one hundred square miles. Led by expert local guides, visitors are drawn not just to the glacier’s beauty but also to the adventure that is experienced on the trek. Those who want a brief view of the ice can go along a 90 minute walking path, while others who want to see more of the southern and eastern flanks can take a longer, five hour walking tour. At the southernmost part of Argentina, all the way at the very tip of South America, lies Patagonia, a vast and largely untamed land that has remained virtually unchanged for millennia. Visit Patagonia to see the world as explorers did 10,000 years ago, unspoiled by the realities of development and commerce. Despite more than 400,000 square miles of area, there are fewer than two million inhabitants, making it one of the most sparsely populated areas you will ever visit. 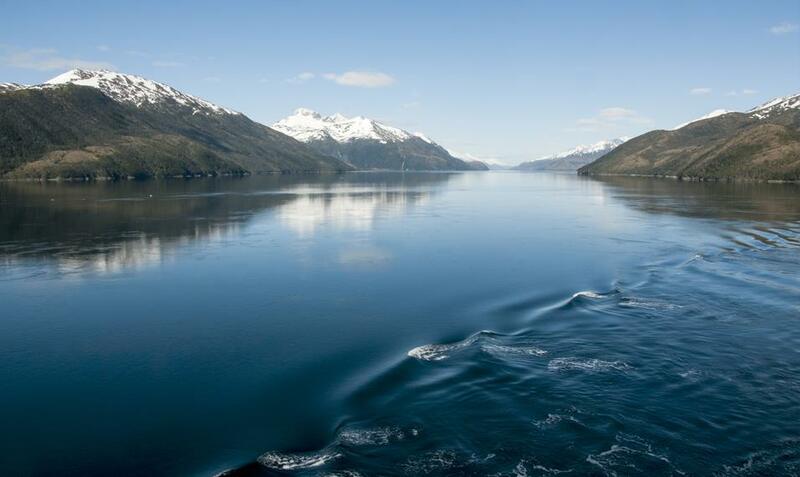 Patagonia tours allow visitors to see a natural beauty that is at once immediate and abundant - with six national parks, imposing mountain peaks and expansive fields of glaciers, including the famous Perito Moreno, there is a geographic marvel to see for just about everyone. There is also a thriving local craft economy, for traditional goods like Mapuche handicrafts, guanaco textiles, and confectionery and preserves, making it a wonderful place to pick up a keepsake from your South American adventure. American and Canadian citizens traveling on regular passports for business or tourist purposes do not need a visa for a stay of up to 90 days. Please note that if you are staying longer than 90 days, obtaining a visa is your responsibility. These requirements change often and therefore it is recommended that you check with the Embassy of Argentina for the most up- to-date information. 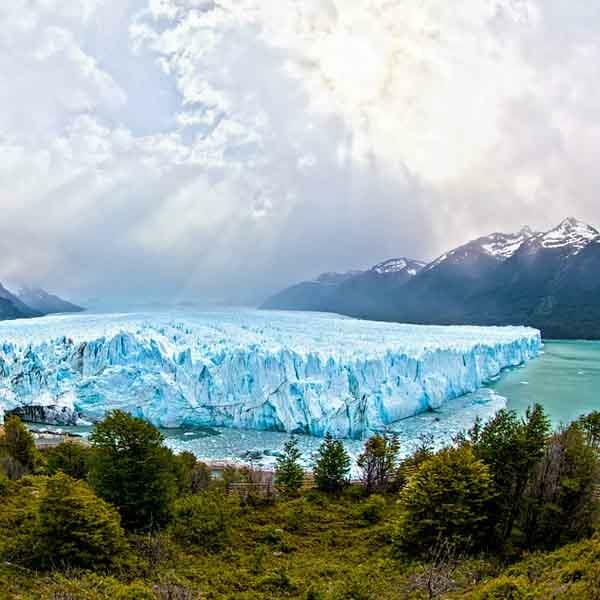 Argentina's climate ranges from the great heat and extensive rains of the subtropical Chaco in the north, through to the pleasant climate of the central Pampas, and the sub-Antarctic cold of the Patagonian Sea in the south. The main central area is temperate, but can be hot and humid during summer (December to February) and cool in winter. Electricity: Electricity in Argentina is 220-240 Volts. Internet: Internet cafés and wireless access is available in most urban areas, airports and hotels. Please note that wi-fi and internet service provided in properties is at the discretion of each establishment and Kensington Tours has no control over this. Please feel free to check with your Sales Consultant before travel if you’d like to know internet set up at each of your properties or contact the properties directly so you are aware of their internet policy if this is important to you. You may like to speak to your internet provider prior to travel to arrange a roaming package. The official currency of Argentina is the peso (ARS), divided into 100 centavos. ATMs are available in most cities but it is still best to carry alternative forms of payment as daily withdrawal limits are low and machines don't always work. For current exchange rates please visit www.xe.com. Please note USD is accepted in most places, however to save money we recommend you use peso versus USD.